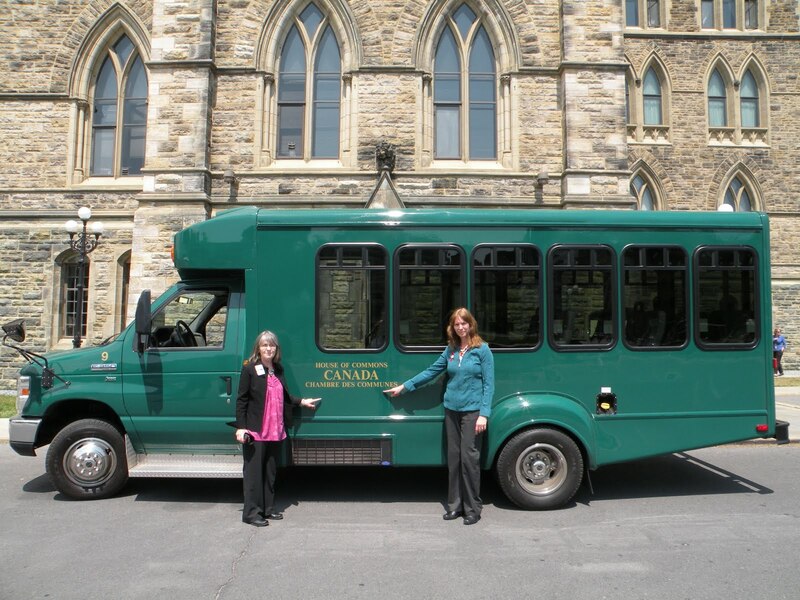 We couldn't help but notice that Parliament Hill staffers and MPs use the CSA approved, safer Multi Function Activity Vehicles (MFAVs) to shuttle around the Parliamentary district. Stella Gurr, left, and Isabelle Hains, right, in front of a House of Commons MFAV on Parliament Hill, May 28, 2010. 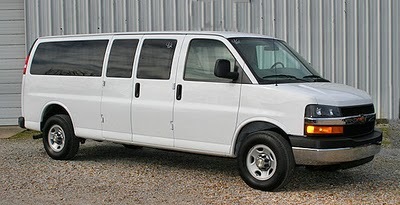 They certainly don't use 15 passenger vans. The irony is that we are here in Ottawa trying to convince the same Parliamentarians to ban 15 passenger vans for student use and we are surrounded by MFAVs. 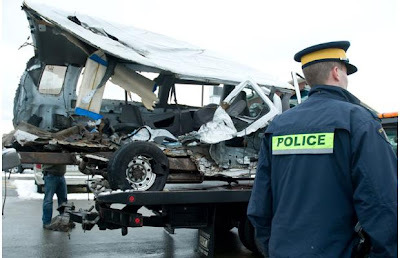 Rest assured that our politicians are safe when they travel around Parliament Hill. Don't you think our children deserve the same safe mode of travel? The Bathurst High School Phantoms 15 passenger van, January 13, 2008. Photo by Sandor Fizli.